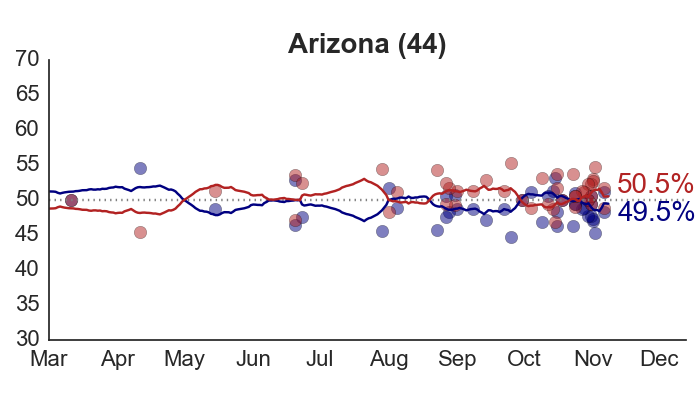 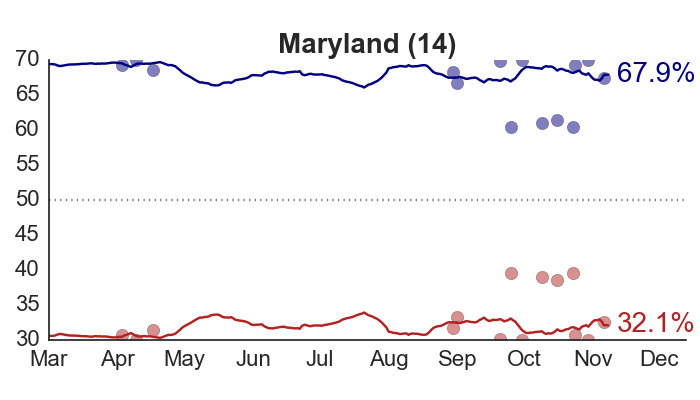 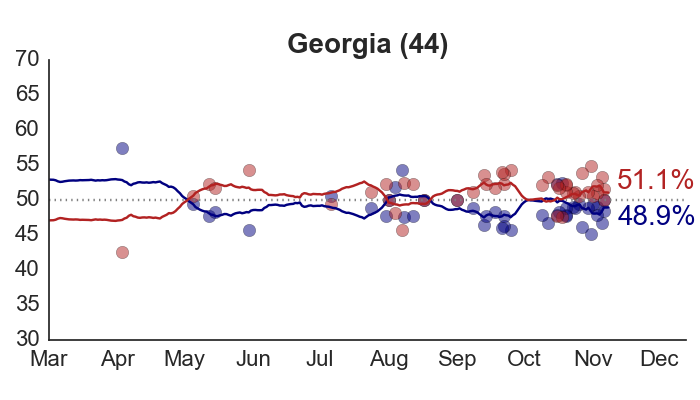 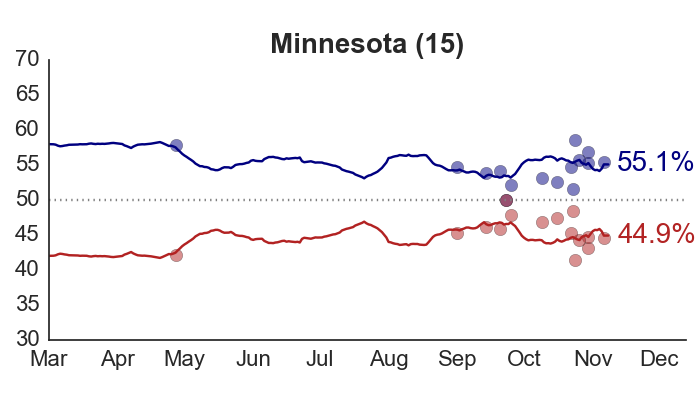 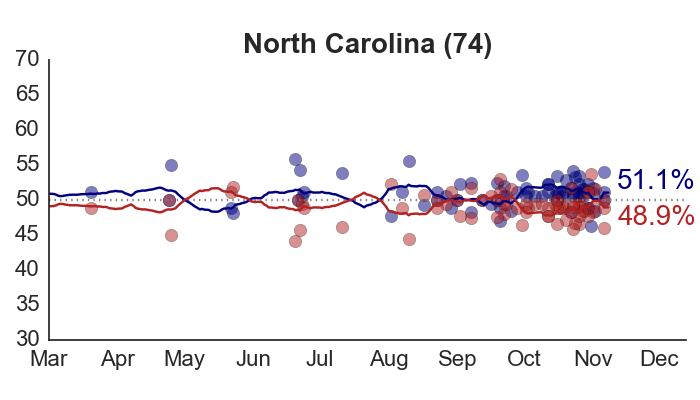 The accuracy of my election forecasts depends on the accuracy of the presidential polls. 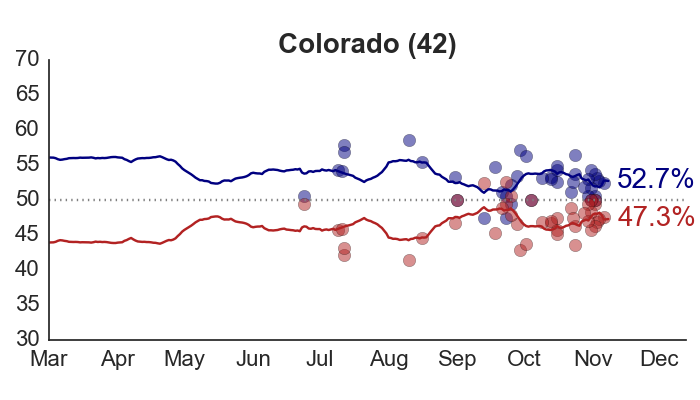 As such, a major concern heading into Election Day is the possibility that polling firms, out of fear of being wrong, are looking at the results of other published surveys and weighting or adjusting their own results to match. 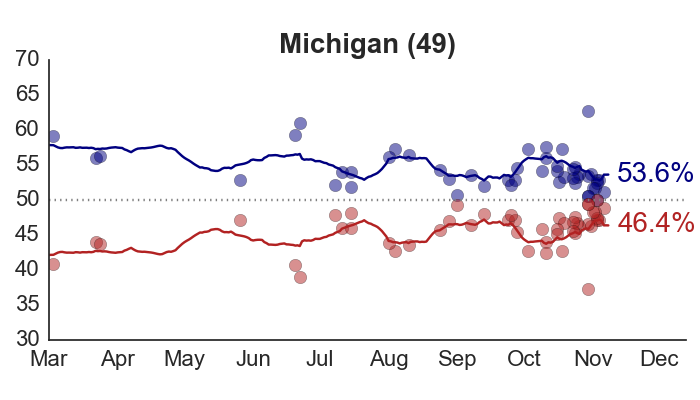 If pollsters are engaging in this sort of herding behavior – and, as a consequence, converging on the wrong estimates of public opinion – then there is danger of the polls becoming collectively biased. 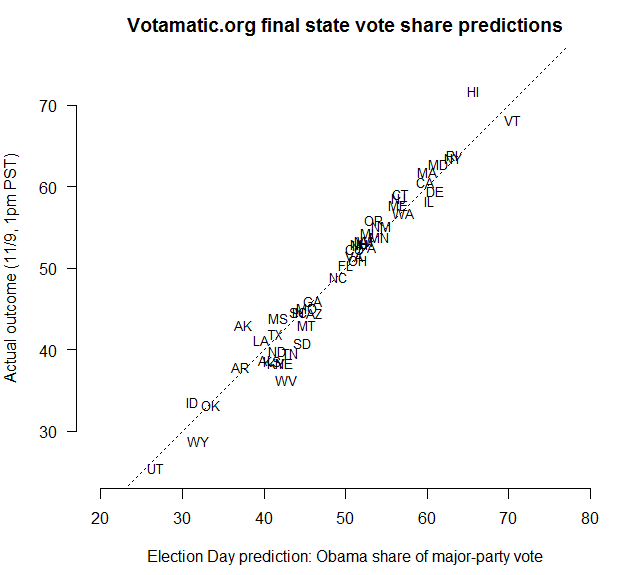 To see whether this is happening, I’ll plot the absolute value of the state polls’ error, over time. 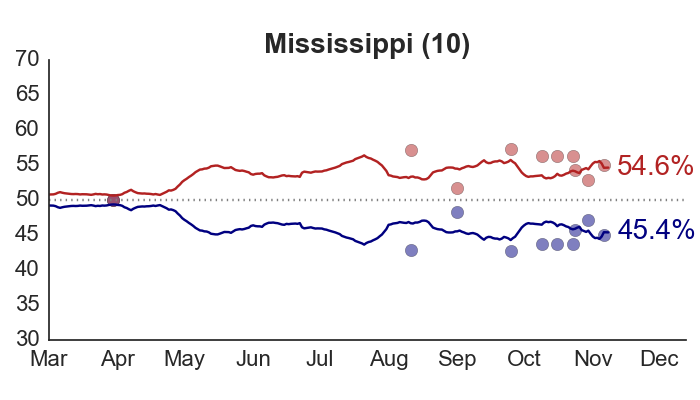 (The error is the difference between a poll’s reported proportion supporting Obama, and my model’s estimate of the “true” population proportion.) 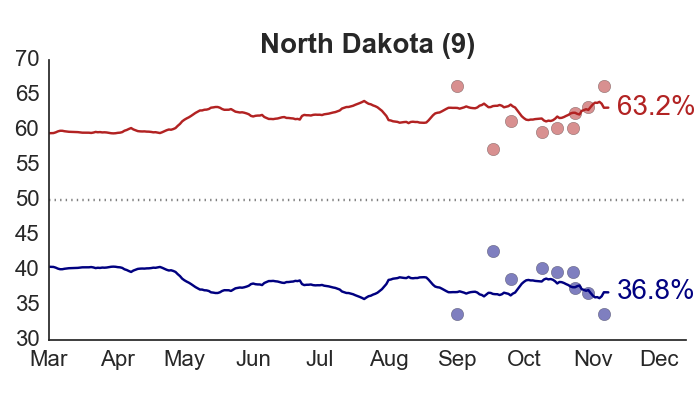 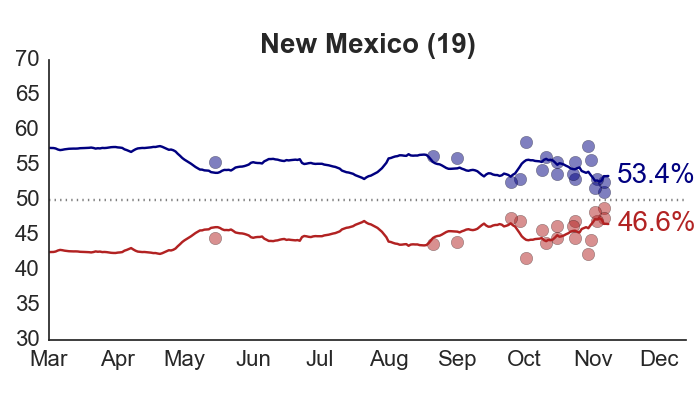 Herding would be indicated by a decline in the average survey error towards zero – representing no difference from the consensus mean – over the course of the campaign. 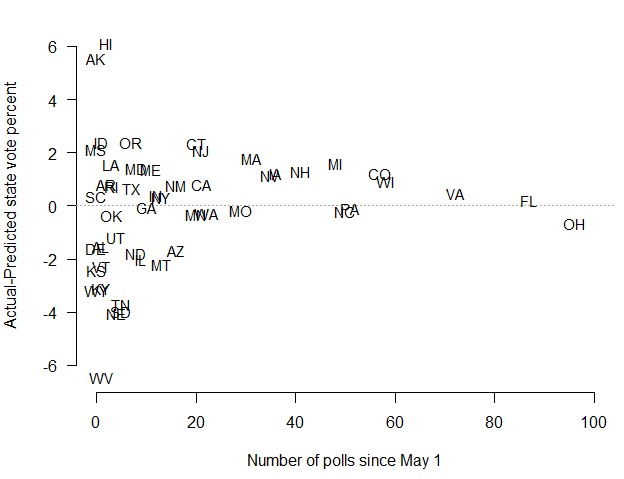 This is exactly what we find. 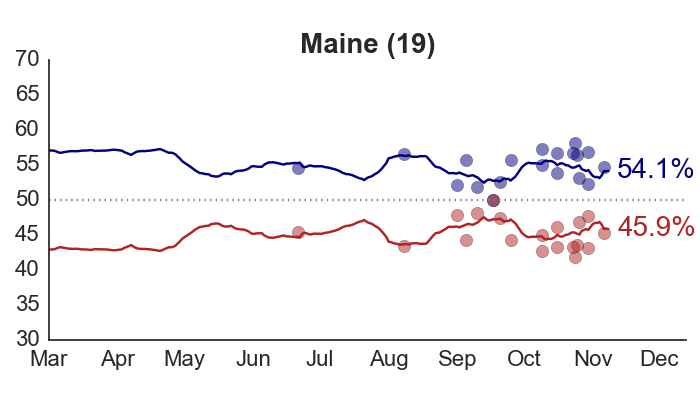 Although there has always been a large amount of variation in the polls, the underlying trend – as shown by the lowess smoother line, in blue – reveals that the average error in the polls started at 1.5% in early May, but is now down to 0.9%. 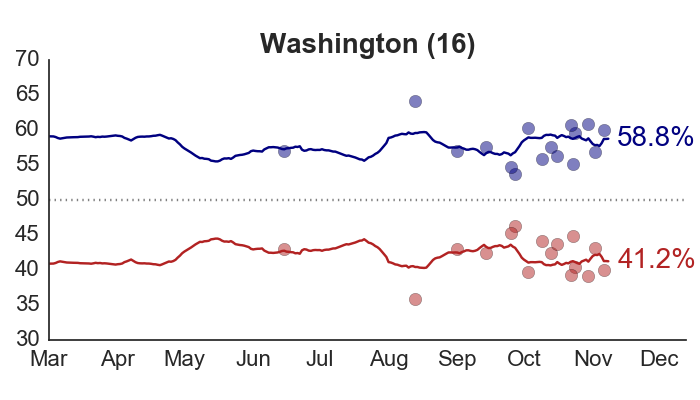 How worried do we need to be? 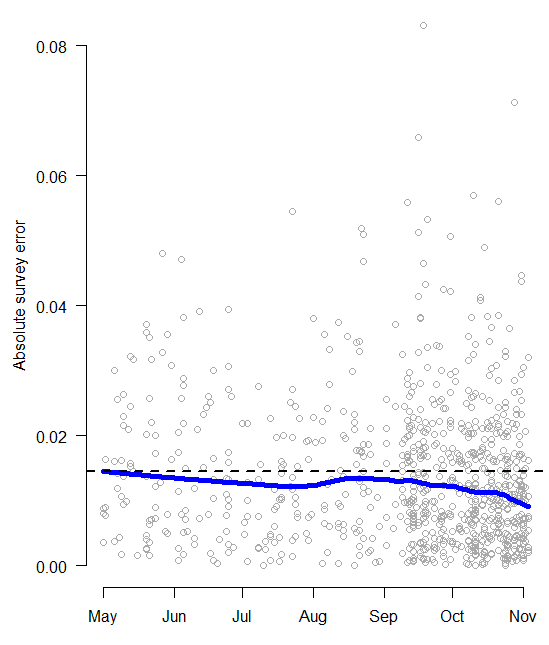 Herding around the wrong value is potentially much worse than any one or two firms having an unusual house effect. 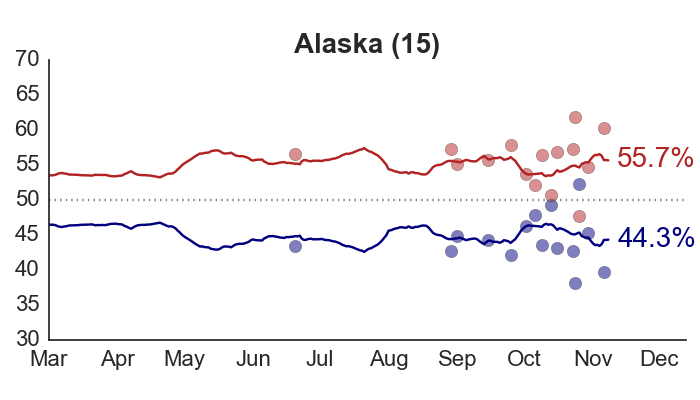 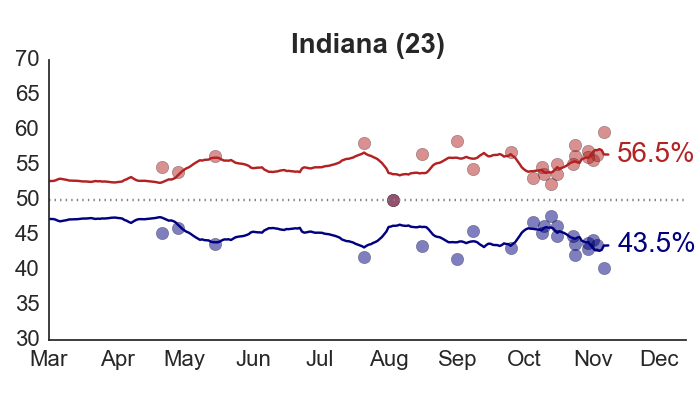 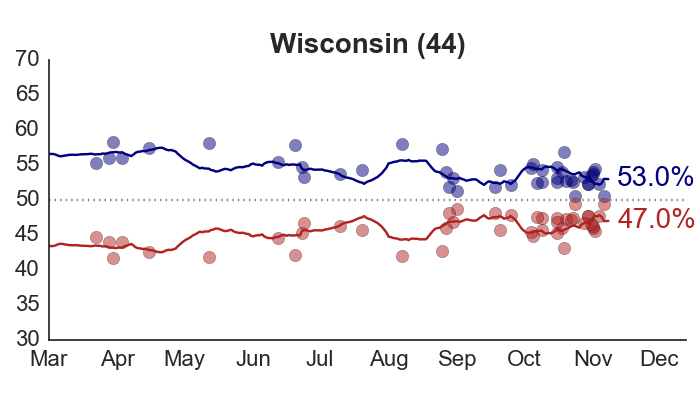 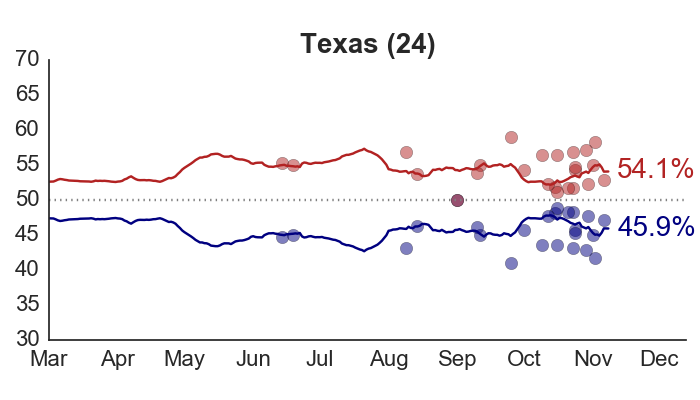 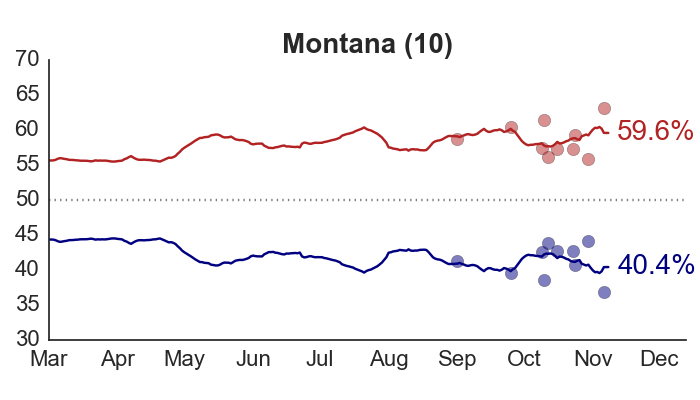 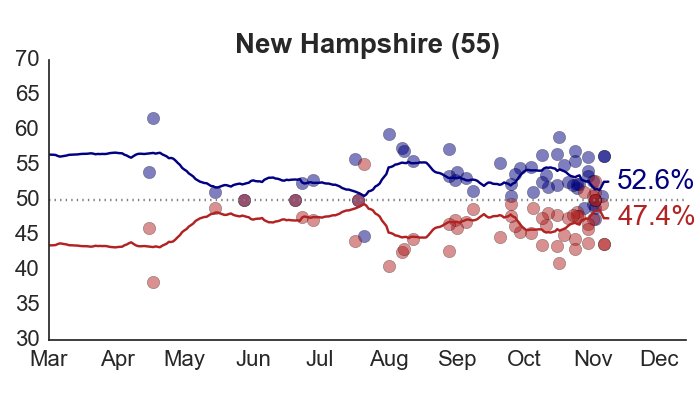 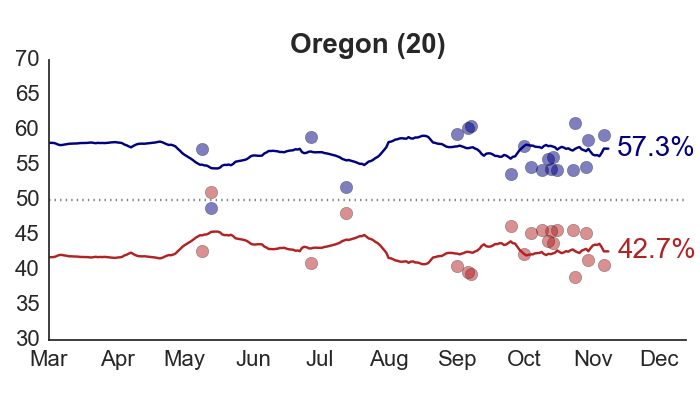 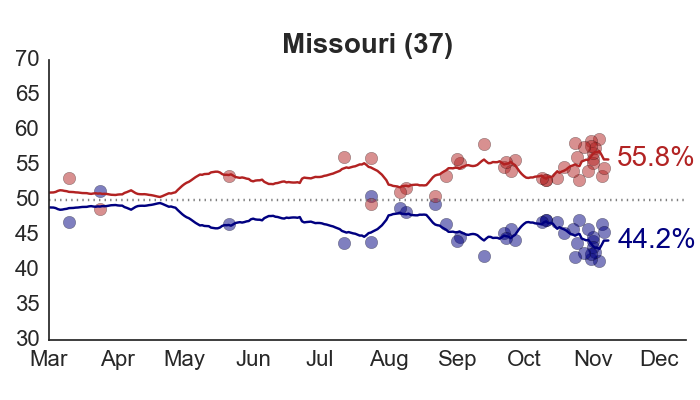 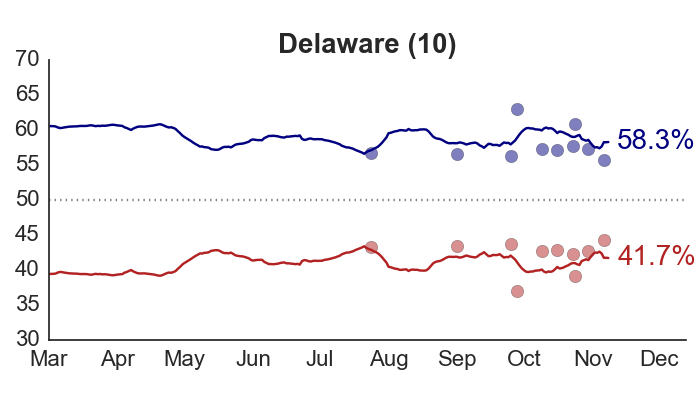 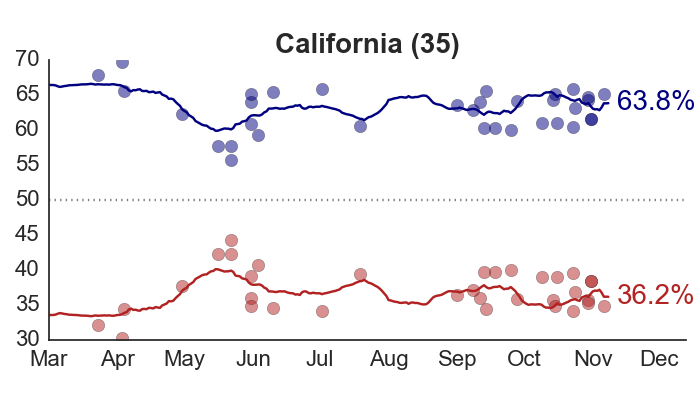 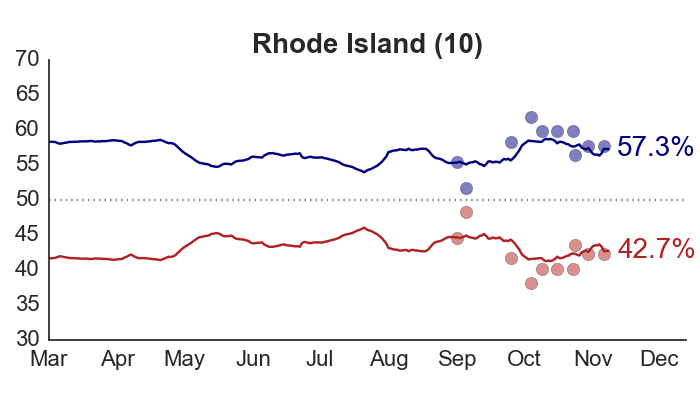 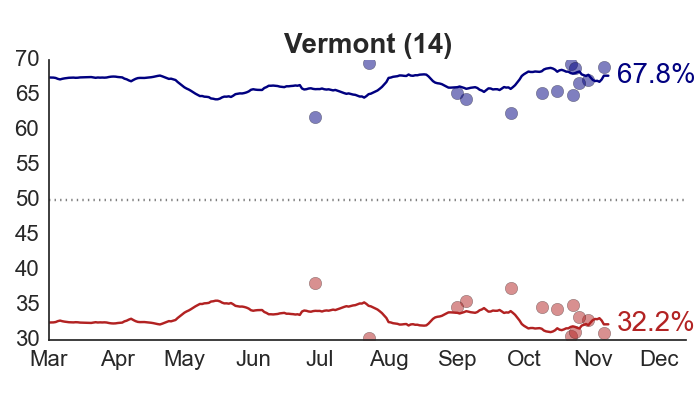 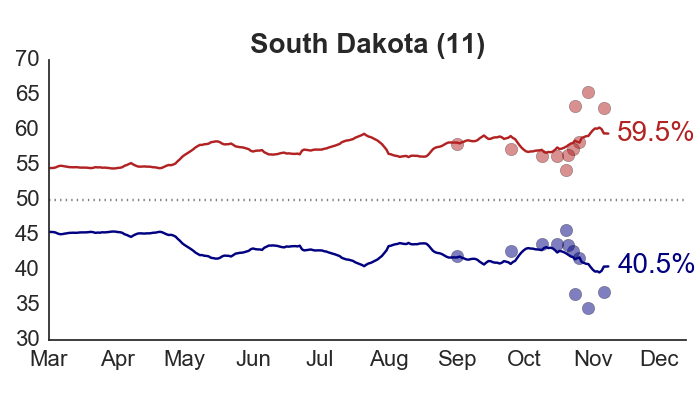 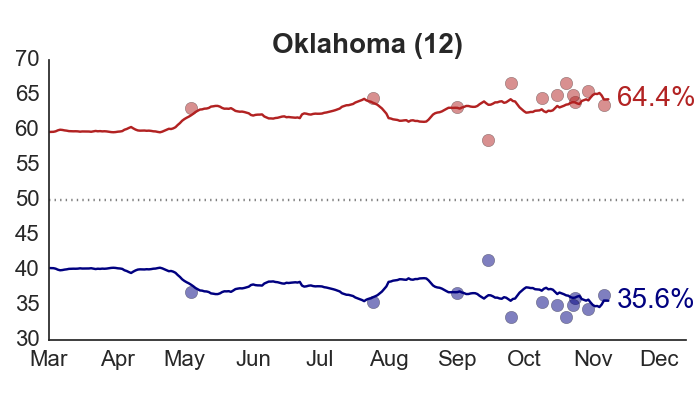 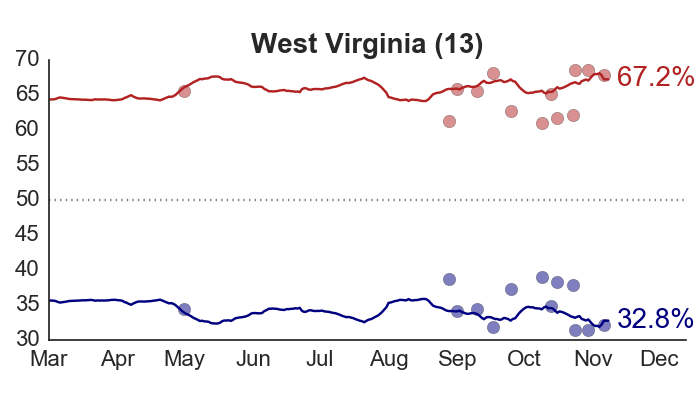 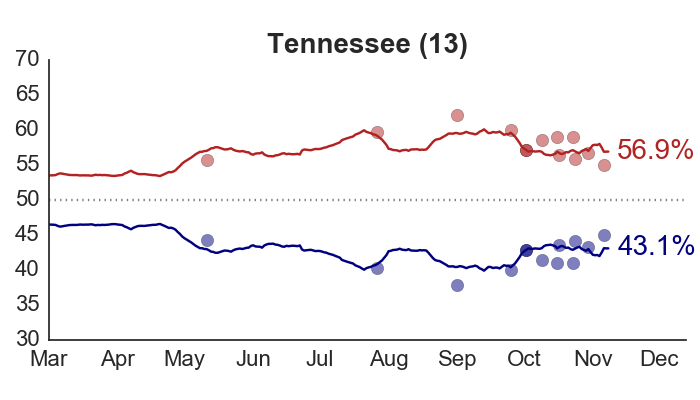 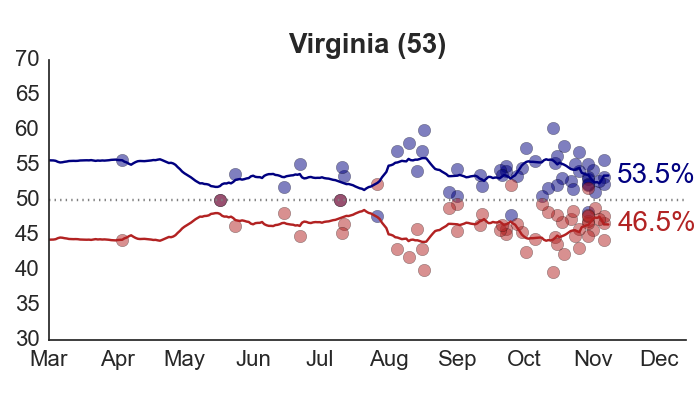 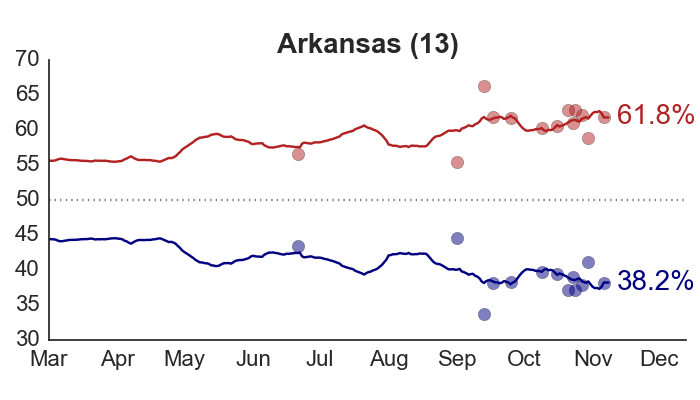 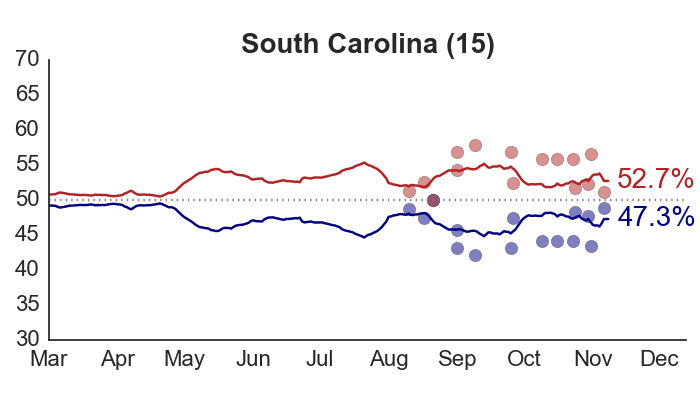 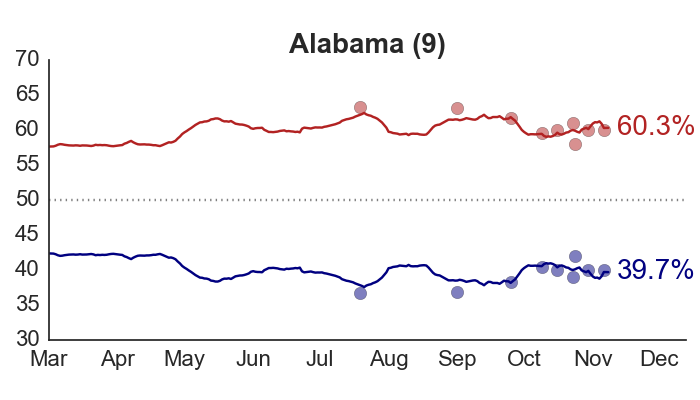 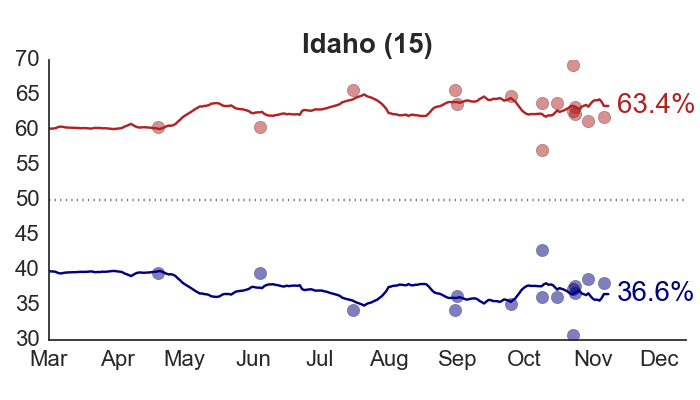 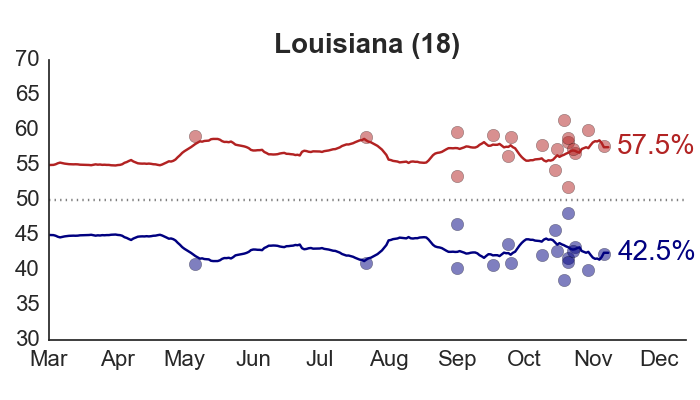 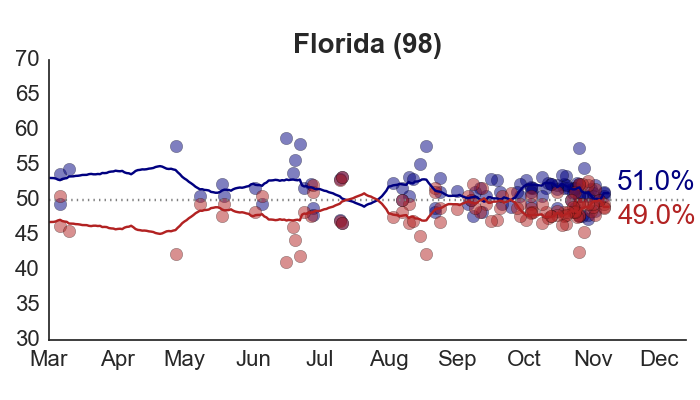 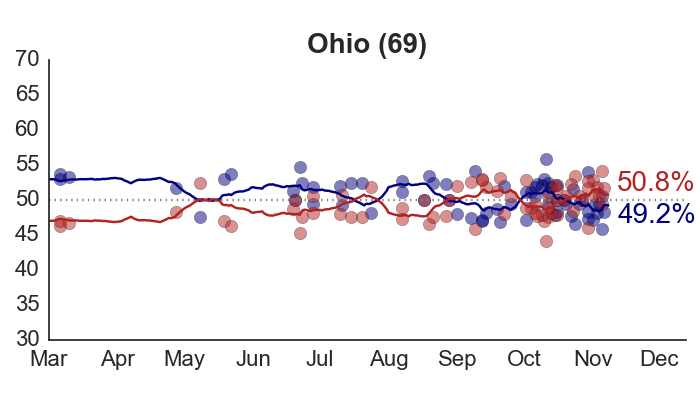 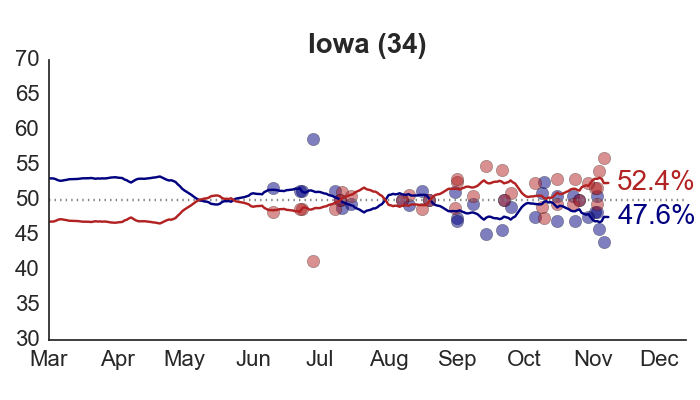 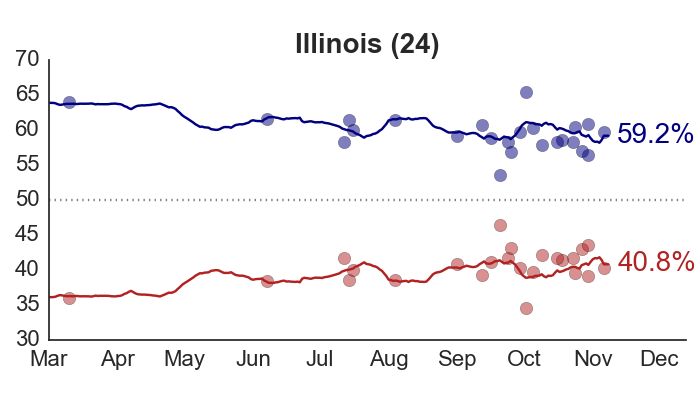 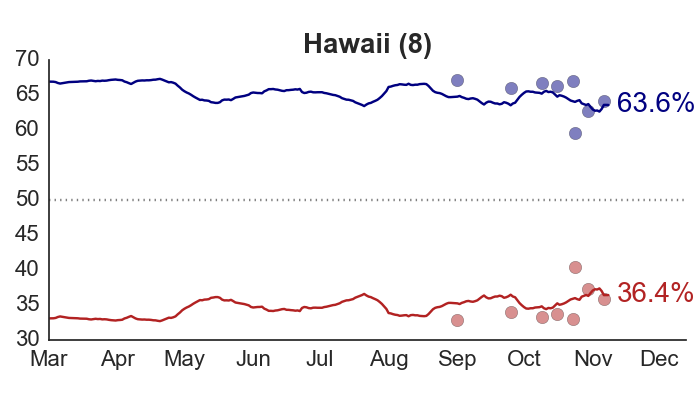 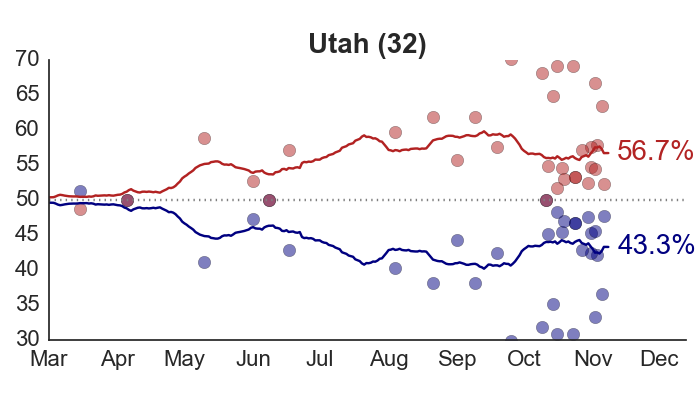 But even if the variance of the polls is decreasing, they might still have the right average. 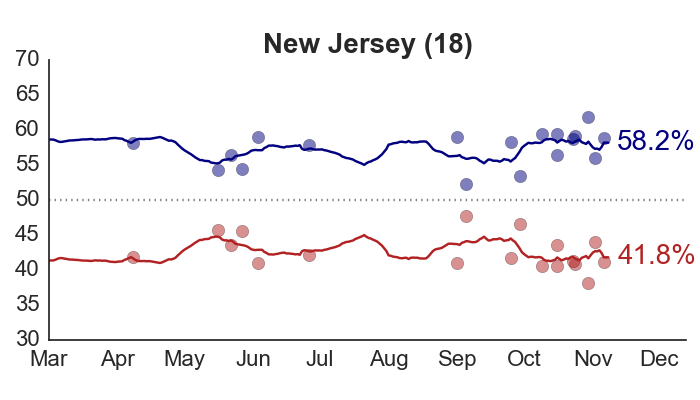 An alternative explanation for this pattern could be an increase in sample sizes (resulting in lower sampling variability), but this hasn’t been the case. 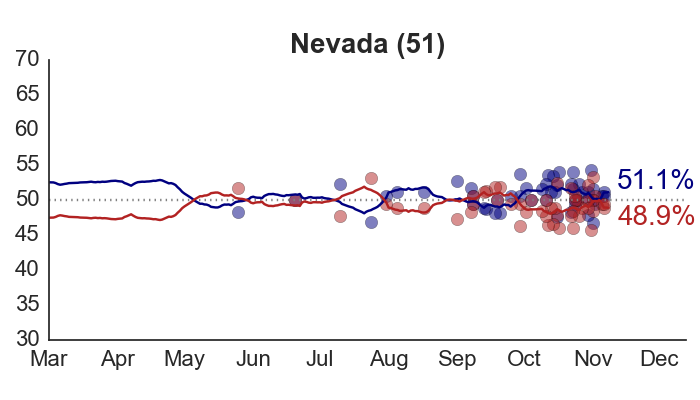 Unfortunately, there weren’t enough polls to tell whether the pattern was stronger in more frequently-polled states, or if particular firms were more prone to follow the pack. 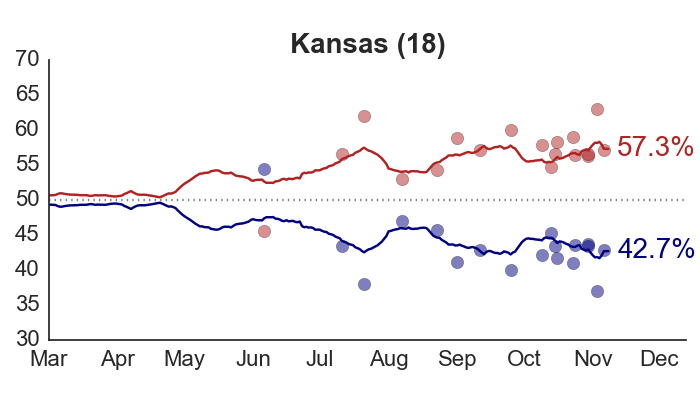 Hopefully, this minor trend won’t mean anything, and the estimates will be fine. 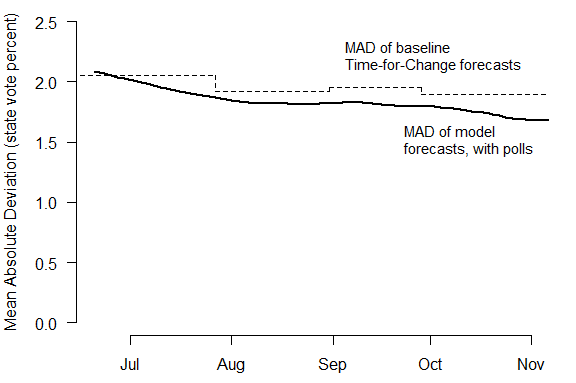 We’ll know soon.